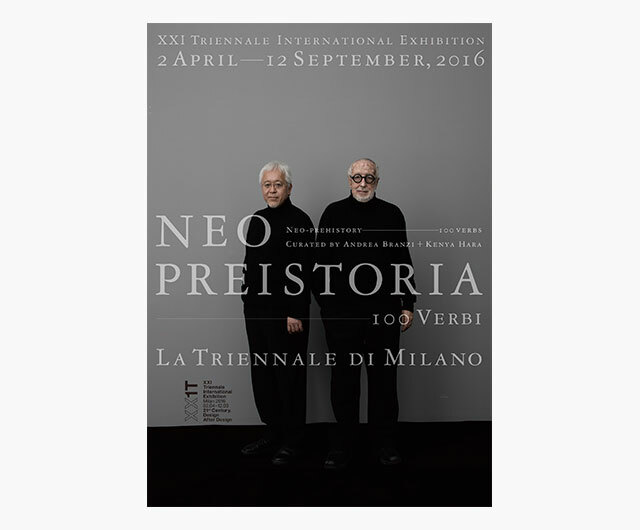 The "NEO PREISTORIA 100 Verbi (New Prehistory 100 Verbs)" exhibition by Italian architect Andrea Branzi and Hara Kenya will continue at the Triennale Design Museum in Milano, Italy until September 12. The “NEO PREISTORIA 100 Verbi (New Prehistory 100 Verbs)” exhibition by Italian architect Andrea Branzi and Hara Kenya presents the history of human activity and desire as it evolved from the stone age to the age of AI through 100 pairs of objects and verbs arranged like a structured poem. 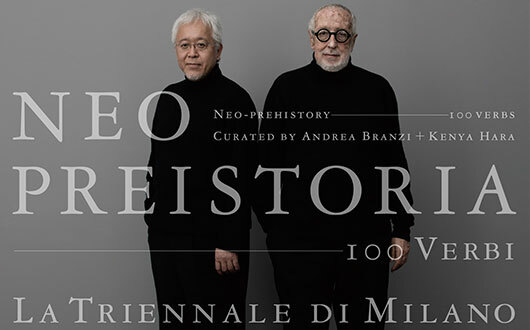 The exhibition will continue at the Triennale Design Museum in Milano, Italy until September 12. Please come to see it. * Closed Mondays except for the final day of the exhibition. Nippon Design Center also provides information on Facebook.